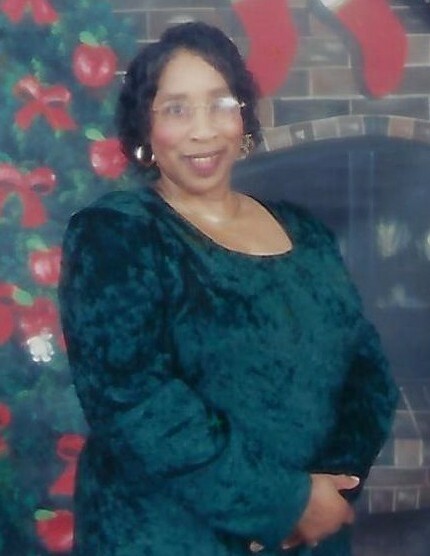 Mrs. Mary Alice Turner Jackson was born to the late Willie and Rosie Turner on January 1, 1946 , in Coffee County. On Wednesday, mid-morning November 28, 2018 she passed away peacefully at Medical Center Enterprise with her family by her side. She accepted Christ in her early childhood at Pleasant Shade Missionary Baptist Church and remained a committed member until poor health inhibited her attendance. In June, 1965, she was united in Holy Matrimony to Willie Lewis Jackson, her high school sweetheart. Mary was educated in the Enterprise City School System. Upon graduation, she attended Alabama A&M College in Huntsville, Alabama. Later, she transferred to Daniel Payne College in Birmingham, Alabama and received her B.S. Degree in Elementary Education. Several years later, she returned to school and did graduate studies at Alabama State University. Her first employment was with the Head Start Program, as a teacher and later promoted to Center Director. She taught in the Coffee County school system a number of years. Mary retired from the Geneva County School System. She was a member of Eastern Star Golden Gate Lodge #302, Enterprise, Alabama (NEA) National Education Association, Retired Teachers Association, and Alpha Pi Chi Sorority. Mary was preceded in death by her father and mother, Willie and Rosie Turner, one sister (Hazel) their brothers Willie Ed. Curtis, and a newborn brother. Mary’s memories will remain with her brother, Shedrich Turner, Enterprise, AL; Carl Lee Turner (Jeanette) Montgomery, AL; Mary Brooks (Oscar), Martha Judd (Floyd) Enterprise, AL. A host of nieces, nephews, cousins, relatives, friends, neighbors, and a special friend. We thank God for her presence in all our lives, and we thank you for coming to celebrate her life with us.